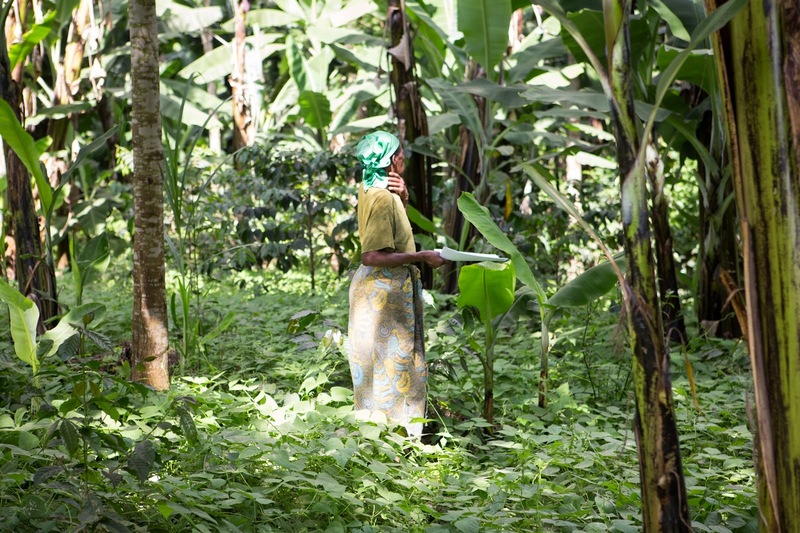 Many of the farmers in the Aranga Coffee Group are replacing their old trees with new trees. 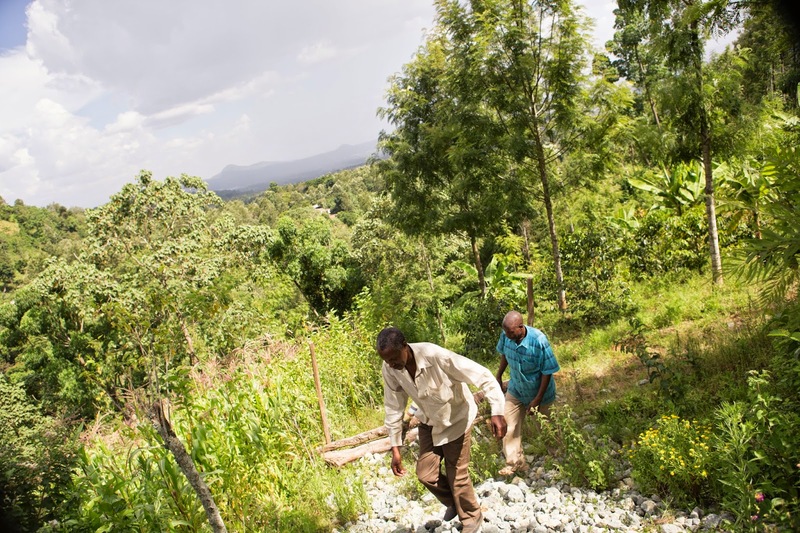 The new trees they are planting are a special new variety developed by TACRI, Tanzania coffee research institute. These trees are developed for our area and are more resistant against plant diseases than the old trees. This is very good for the farmers so they don’t need to use any artificial pesticides on the trees anymore. This is not only cheaper for the farmers, but it also makes it much easier for them to work with organic farming. 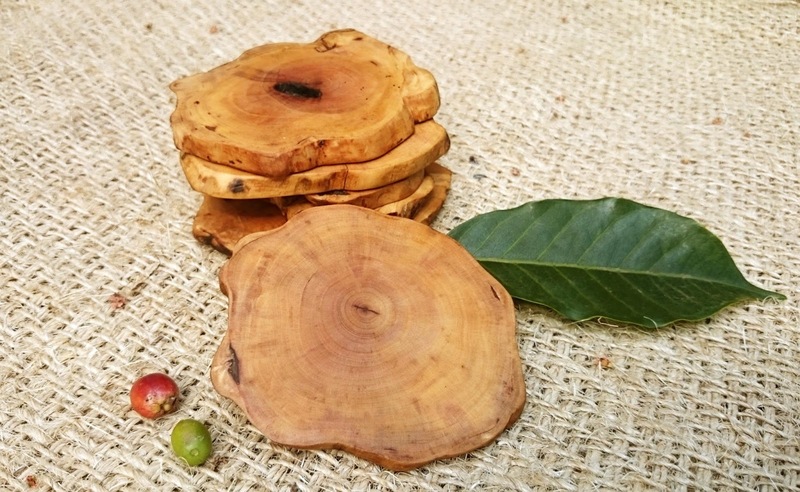 Because of these new trees, we have a lot of coffee wood available, and this has resulted in our brand new coffee wood collection. 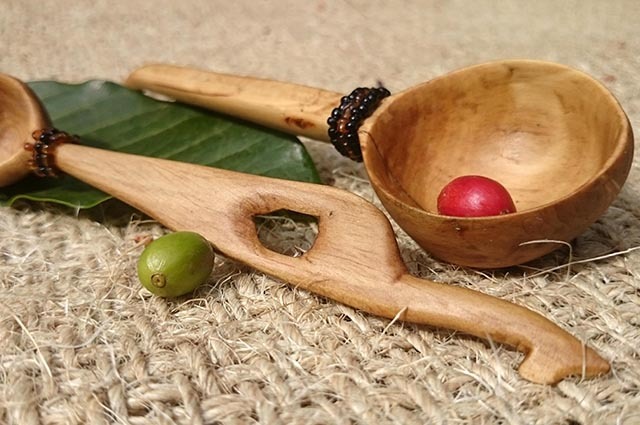 We have coffee spoons, sugar spoons and coasters, all carefully made by hand by local woodworkers here in Tanzania. To make sure they will be food save, we have made our own wood polish from beeswax and sunflower oil. 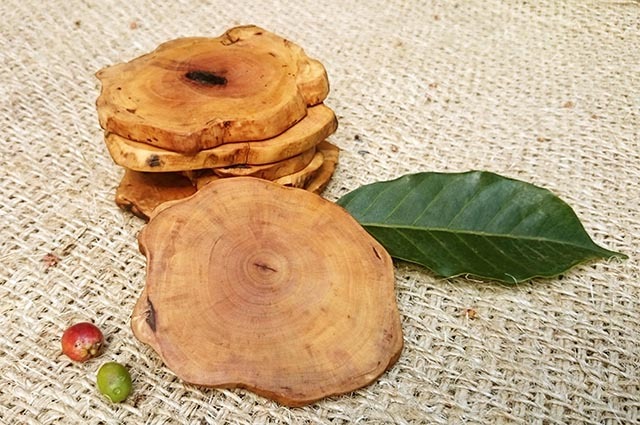 The beeswax comes from one of the coffee farmers' beehives. If you're interested in buying some of these products, please visit our web-shop. The coasters is not available in the web-shop yet, but just write to us and we can help you get them anyway. We have finally gotten our new website up and running. Now with better layout and a lot of new pictures. Take a look here: www.wild-tracks.com. 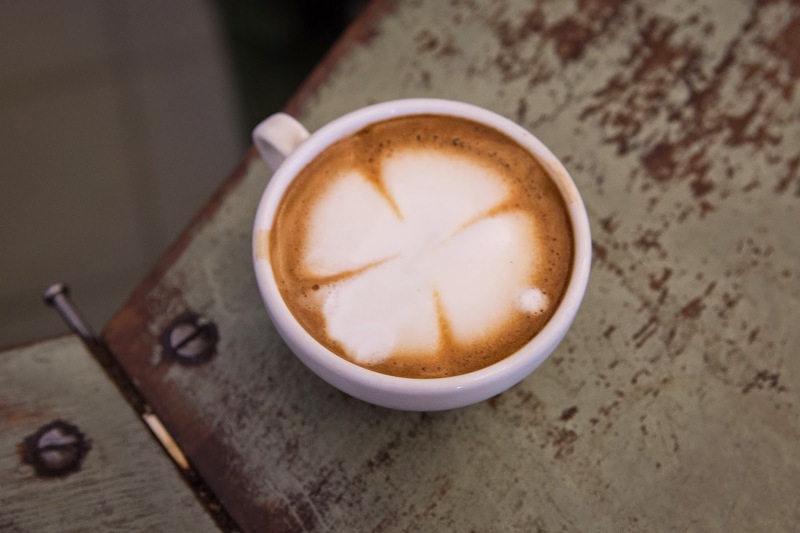 We are, naturally, celebrating with a cup of coffee! 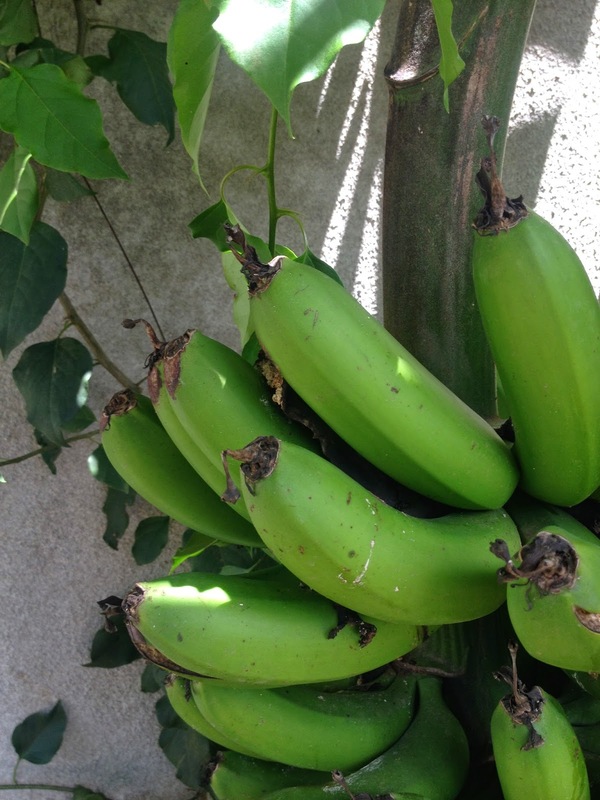 In Tanzania you don't need to go far to get good bananas. These ones are super local from the office backyard! Bake in oven at 175*C for about 45min. Since all ovens are different the temperature and time may vary. 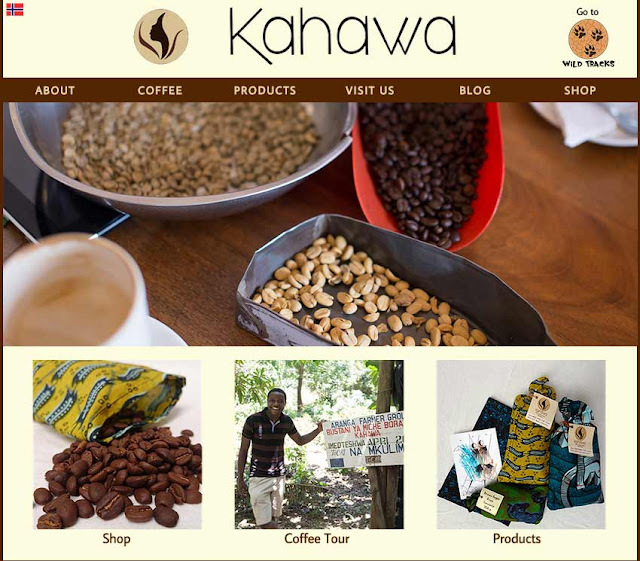 (Kahawa – Fair Trade) coffee!! Amani, who was on an exchange with Fredskorpset to Norway last year, has lately been holding computer lessons for the Aranga Coffee Group. 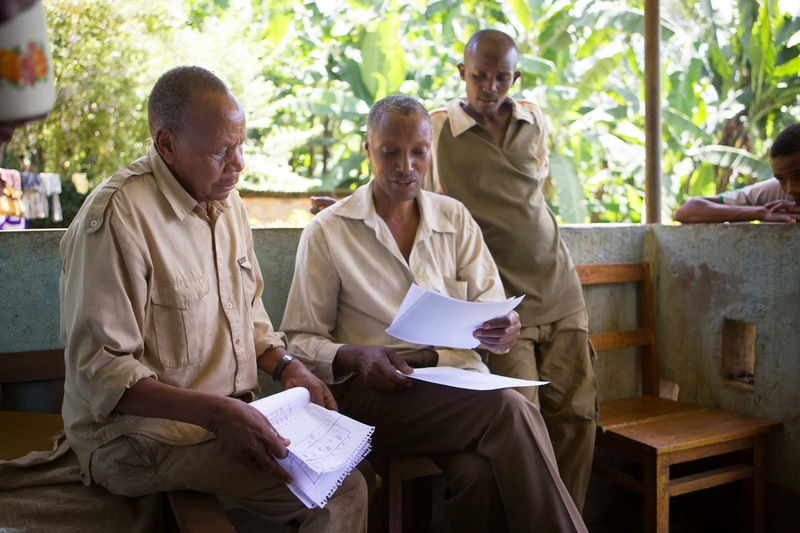 The farmers want to learn how to use a computer for several reasons, it will for example be easier for them to communicate with other farmers, Tanzania Coffee Research Institute and to learn more about coffee production and the coffee market. 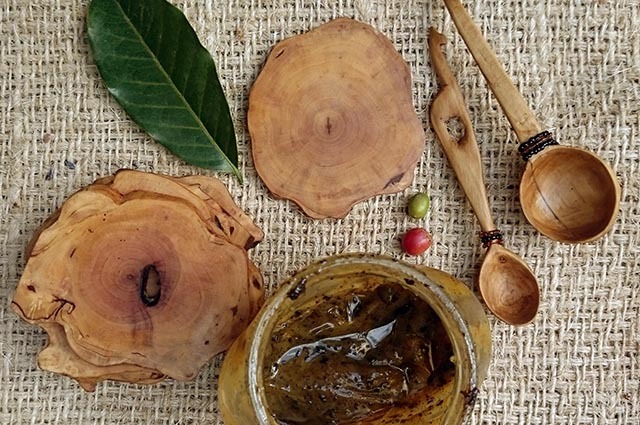 It will also be useful in the on-going project of becoming Fair Trade and Organic certified. 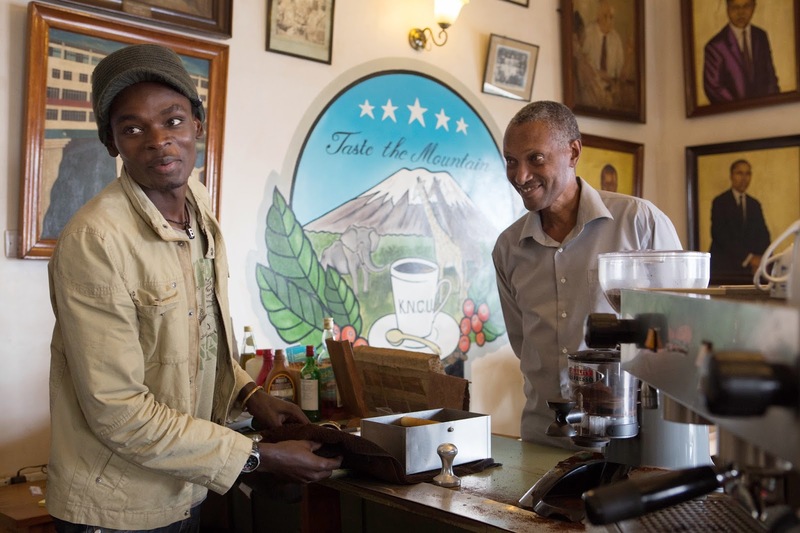 We were able to buy a computer and give lessons to the Aranga Coffee Group through Amani's following-up program after his exchange. He is teaching them basic computer skills, such as how to use the Internet, send e-mails and use programs like Microsoft Word, Excel and Power Point. Amani says the farmers are doing well in class! 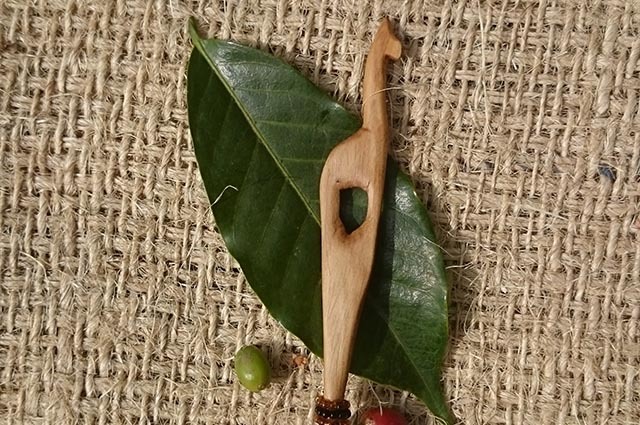 Happy New Year from us and Aranga Coffee Group! 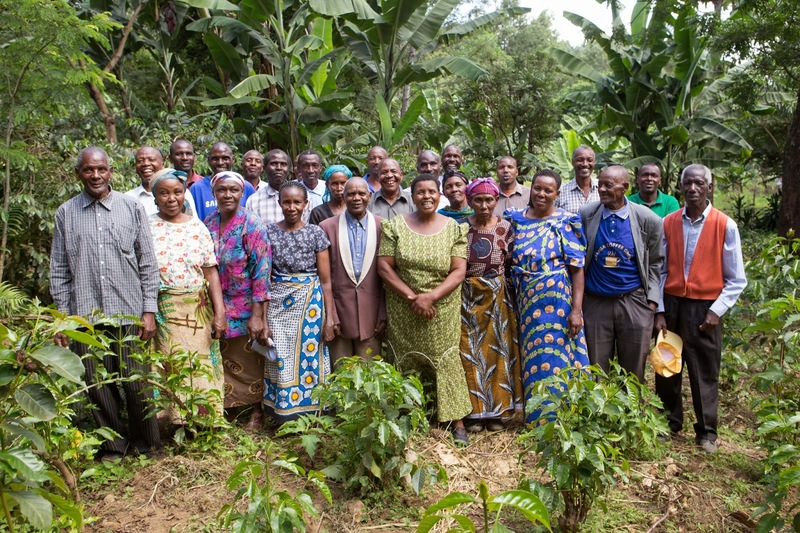 This is a new group photo of the coffee group, there are now 28 families in the group. 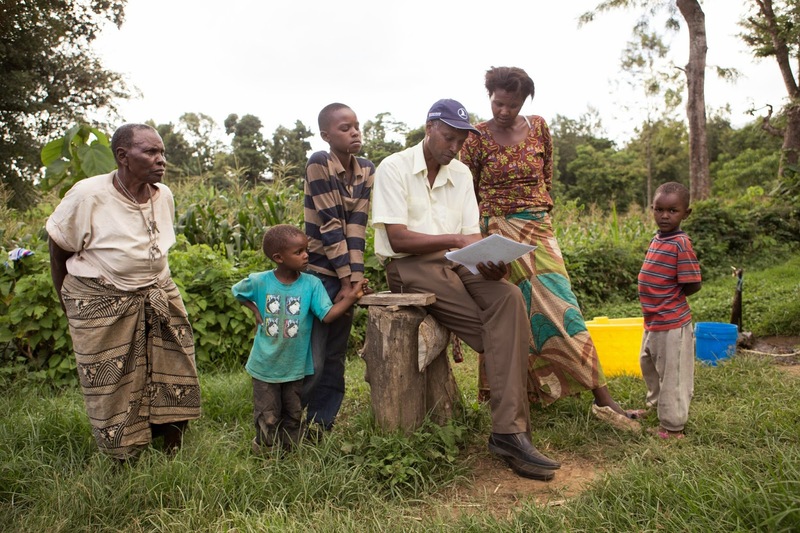 Before Christmas we went to all the farms in Aranga Coffee Group to take GPS-measurements and visit the farmers. 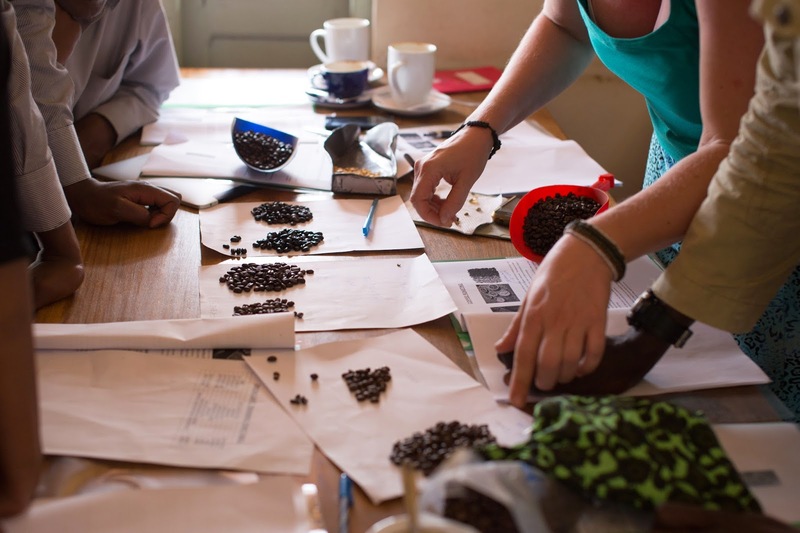 To get an organic certification we need a map of all the farms in the Aranga Coffee Group and their office. 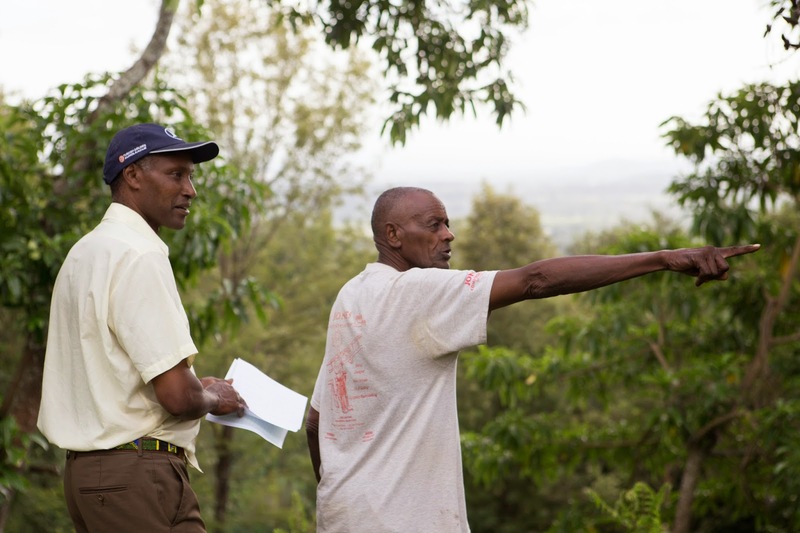 All maps will include GPS data, the farmers house, the coffee farm, other farm areas and the neighbours of the farmers. 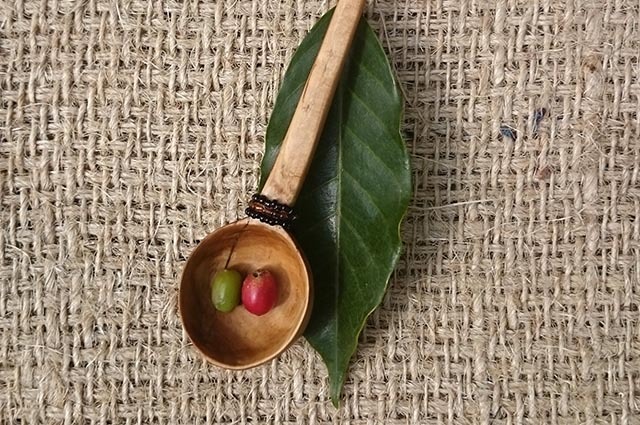 With maps the certification organization will know what is next to the organic coffee, and see the border between organic and non-organic coffee (if the farmer also has some non-organic coffee). With the GPS-measurements we will make a map of the whole village to see the location of the farms together. Many of the farmers have already done a very good job making maps of their land and in January everything will be ready. 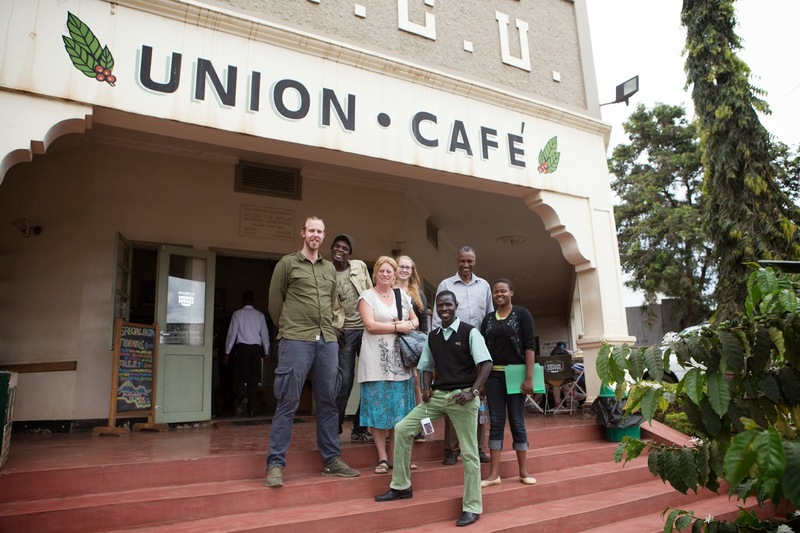 Last week we went to Union Café in Moshi to learn more about different coffee drinks, café costumers and Union Café's way of roasting and making coffee. 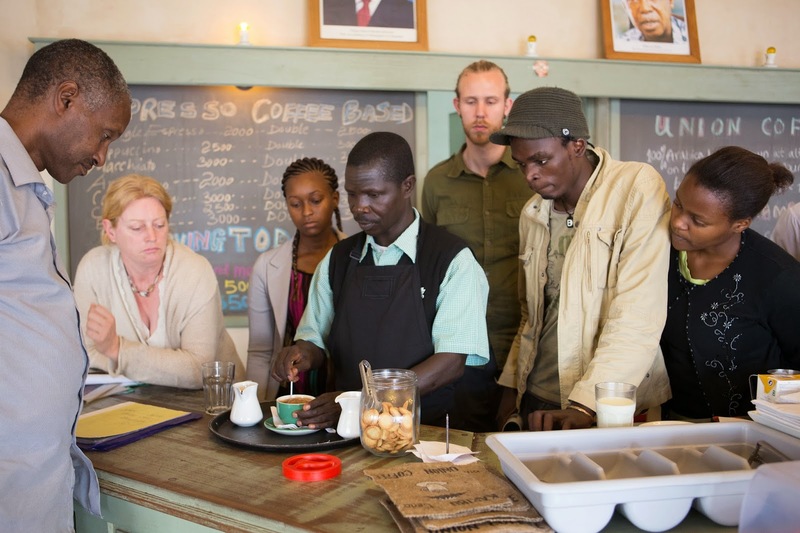 We brought our own coffee and compared our different roasting types with Union Cafés coffee and talked about the history of coffee production in Tanzania. 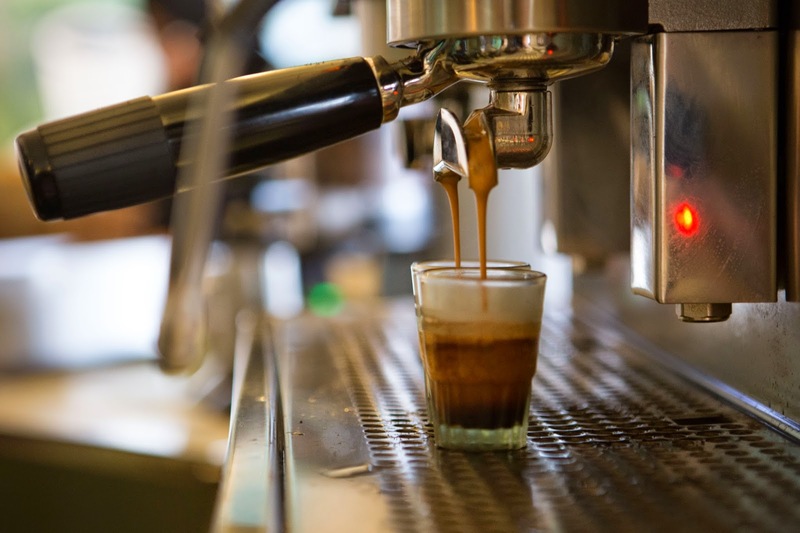 Thereafter the café's manager Danford showed us their espresso machine and taught us how to make espresso and the most popular espresso based drinks. We made our own cappuccino and had a very good time. Gideoen was the representative from Aranga Coffee Group, and two of our coffee guides joined us to learn more about coffee after farming.